This MAb recognizes a 27 kDa protein, identified as the p27Kip1, a cell cycle regulatory mitotic inhibitor. ZR75, T47D, SK-BR-3, MDA-MB-231, HeLa or MCF7 cells. Tonsil, Breast, Cervical or Colon Carcinoma. 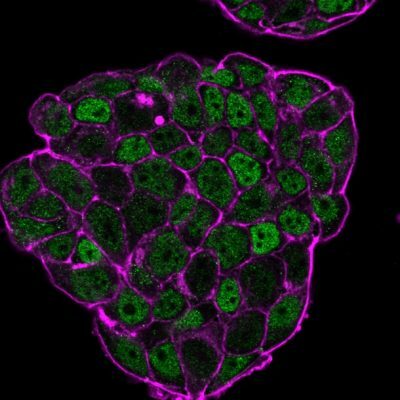 This MAb recognizes a 27 kDa protein, identified as the p27Kip1, a cell cycle regulatory mitotic inhibitor. It is highly specific and shows no cross-reaction with other related mitotic inhibitors. In Western blotting of cell lysates from 7 human breast cancer cell lines (ZR75-1, ZR75-30, MCF-7, MDAMB453, T47D, CAL51, 734B), the antibody labels a single band corresponding to p27Kip1. It functions as a negative regulator of G1 progression and has been proposed to function as a possible mediator of TGF-betanduced G1 arrest. p27Kip1 is a candidate tumor suppressor gene. 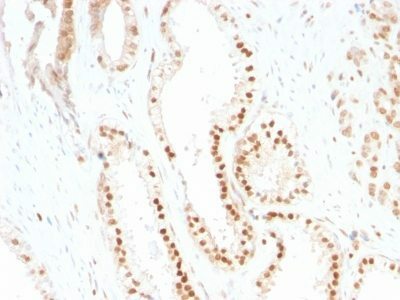 Reportedly, low p27 expression has been associated with unfavorable prognosis in renal cell carcinoma, colon carcinoma, breast carcinomas, non-small-cell lung carcinoma, hepatocellular carcinoma, multiple myeloma, and lymph node metastases in papillary carcinoma of the thyroid, as well as a more aggressive phenotype in carcinoma of the cervix. 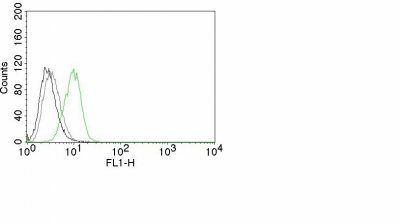 Catalog number key for antibody number 0669, Anti-KIP1 (SX53G8) The prefix indicates conjugation, followed by the antibody number and size suffix.